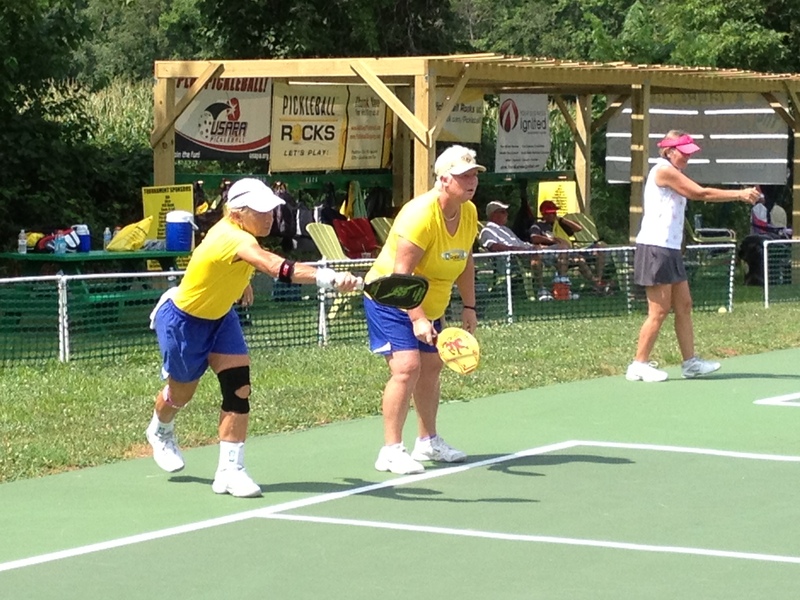 In 2008, Brookville natives Charlie and Betty Allen, along with Larry Sheets and Marilyn Hedrick, found the fun sport of pickleball in Florida. 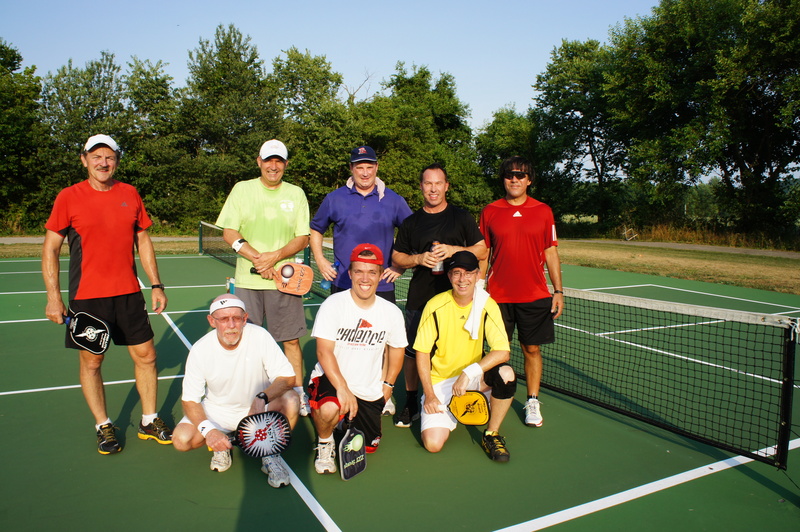 They came home determined to get pickleball started in Brookvlle and the rest as they say is history. 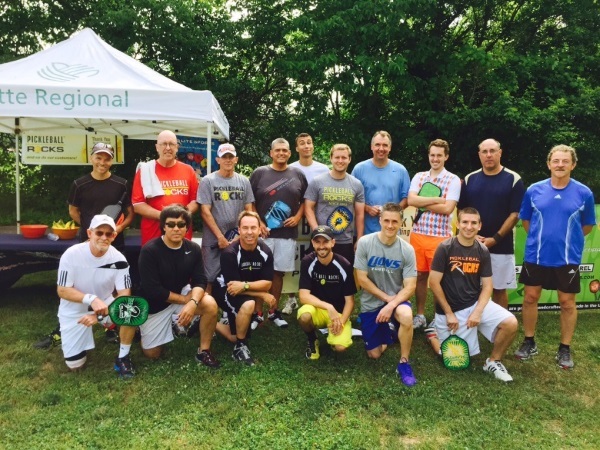 Today, hundreds of people from all over the United States visit Brookville to play the sport of pickleball in our town. We welcome visitors of any age and any playing level. SPECIAL NOTE: The outdoor courts are available for open play any time. And paddles and balls are always available. REGULAR OPEN WINTER PLAY : Friday nights: All ages, all ability levels on 6 indoor courts at 1010 Franklin Avenue in Brookville. Courts are inside the Old Brookville High School. We play from 6:00 – 9:30pm. EVERYONE WELCOME: Extra paddles available. 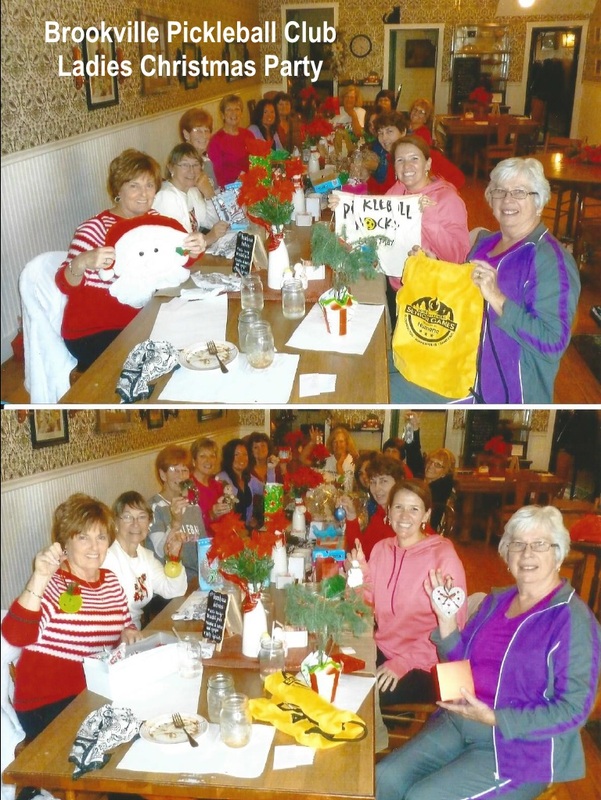 Ladies Day Play is Tuesday and Thursday mornings from 8 – 10:30am at the Old Brookville High School gym at 1010 Franklin Ave.
And of course, the outdoor courts are open for personal play anytime. Extra paddles and balls are kept at the courts. ENJOY!